"Bold and dramatic stars leap out from a background of fun multihued geometric prints. 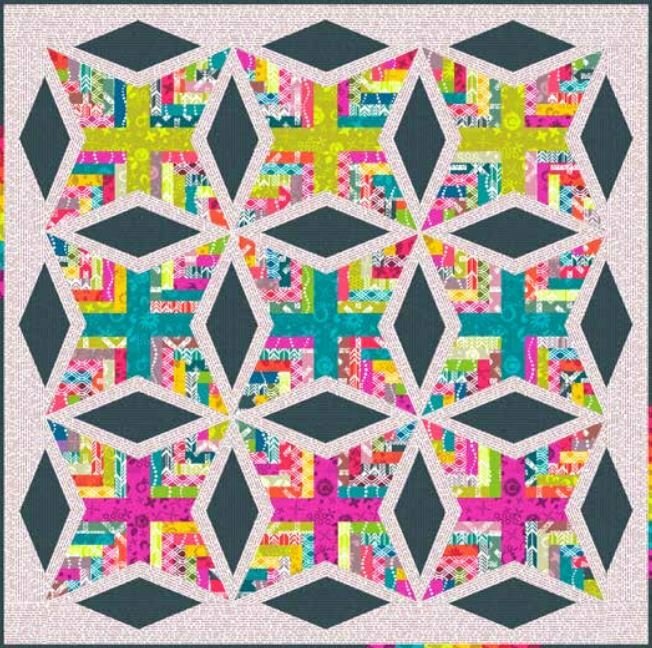 Even though the pattern may look challenging, all the parts are made with user-friendly paper-foundation pieced units. 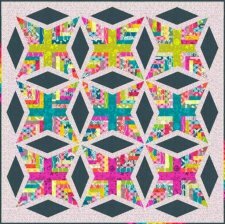 The quilt pattern was developed from a block tutorial on Nydia Kehnle’s website. 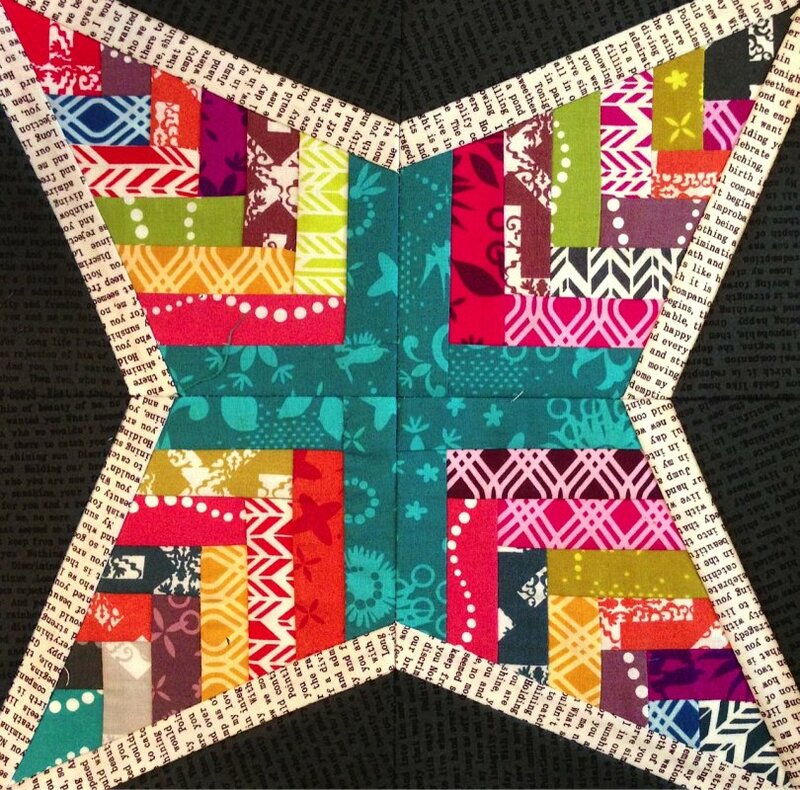 Alison Glass made some adjustments to turn the block into the quilt." Check out more fabric designs by Alison!